Three forces in England will test every motorist they stop in a crackdown on those with poor vision. 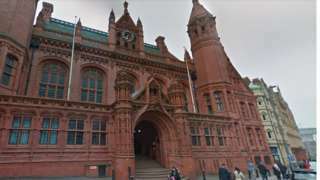 The 19-year-old is remanded in custody by magistrates ahead of a crown court appearance. There are long delays and heavy traffic around the Chirk bypass on the A5 between Wrexham and Shrewsbury. M6 West Midlands southbound severe accident, from J10 for A454 Wolverhampton to J9 for A461. M6 West Midlands - One lane closed and queuing traffic on M6 southbound from J10, A454 (Wolverhampton) to J9, A461 (Wednesbury), because of an accident. M6 Staffordshire southbound severe disruption, from J15 for A500 to J14 for A5013. M6 Staffordshire - One lane closed and queuing traffic on M6 southbound from J15, A500 (Stoke-On-Trent) to J14, A5013 (Stafford North), because of a broken down vehicle. In the roadworks area. A38 Staffordshire southbound severe accident, from A5121 Derby Road to A5121. 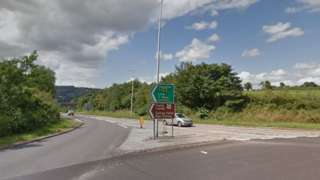 A38 Staffordshire - A38 Lichfield Road closed southbound from Clay Mills in Burton upon Trent to Branston Interchange in Burton Upon Trent, because of an accident. M6 Warwickshire southbound severe disruption, between M42 J7 and J3 for A444 Nuneaton. M6 Warwickshire - One lane closed on M6 southbound between M42 J7, Coleshill and J3, A444 (Nuneaton), because of a broken down van. 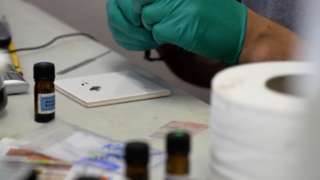 Chemists find anti-malaria tablets among things cut into drugs they tested at festivals across England. M6 Warwickshire northbound severe disruption, from J3 for A444 Nuneaton to M42 J7. M6 Warwickshire - One lane closed on M6 northbound from J3, A444 (Nuneaton) to M42 J7, Coleshill, because of a broken down vehicle. M5 Worcestershire - One lane closed on M5 northbound from J6, A4538 (Worcester) to J5, A38 (Droitwich), because of a broken down vehicle. M42 Warwickshire southbound severe disruption, at J8 for M6 Toll. M42 Warwickshire - M42 exit slip road to M6 northbound closed southbound at J8 M6 Toll, because of a shed load and a fuel spillage. M6 Warwickshire northbound severe disruption, from M42 J7 to J5 for A452 Newport Road. M6 Warwickshire - Two lanes closed on M6 northbound from M42 J7, Coleshill to J5, A452 (Castle Bromwich), because of a shed load. M42 Warwickshire - M42 lane closed on exit slip road southbound at J8 M6 Toll, because of a shed load. M5 Worcestershire - One lane closed on M5 northbound from J5, A38 (Droitwich) to J4a M42, because of a broken down vehicle. M6 Staffordshire - One lane closed on M6 southbound from J15, A500 (Stoke-On-Trent) to J14, A5013 (Stafford North), because of a broken down vehicle. Traffic is coping well. 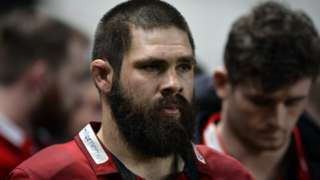 Worcester Warriors say forward Cornell du Preez needs "further larynx surgery" after a throat injury in their season opener. M6 Warwickshire southbound severe disruption, from M42 J7 to J3 for A444 Nuneaton. M6 Warwickshire - One lane closed on M6 southbound from M42 J7, Coleshill to J3, A444 (Nuneaton), because of a broken down vehicle. Traffic is coping well. 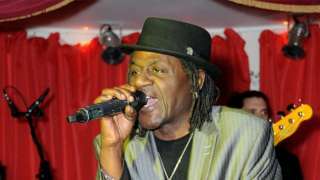 A murder inquiry is launched after the grandson of Neville Staple is fatally stabbed in Coventry.